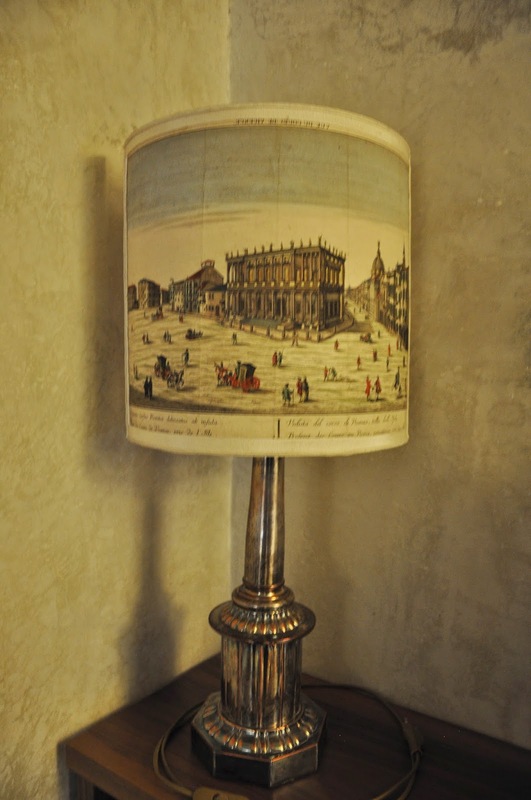 Today I’d like to take you to Palazzo Chiericati. 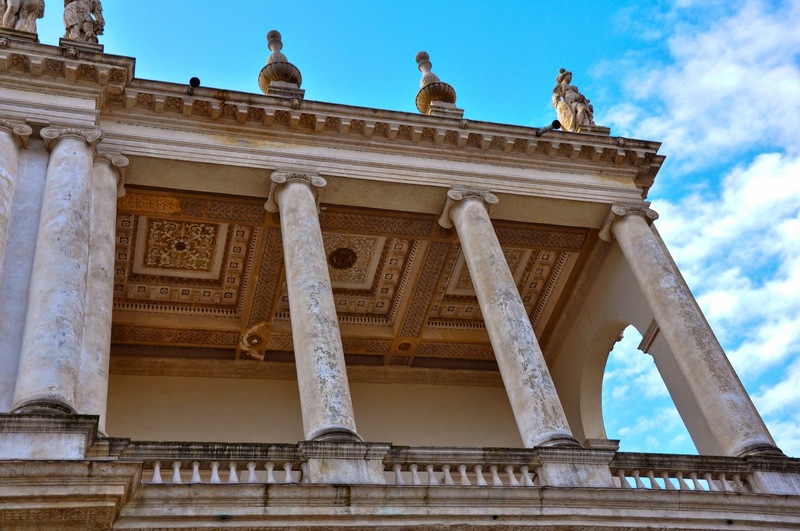 This Renaissance gem stands right at the beginning of Vicenza’s main street – the elegant Corso Palladio – and it captivates the sight with its columnated façade, two logge with rich ornate ceilings and a row of statues erected right on the edge of the palazzo’s roof and beautifully offset by the blue Italian sky. It is a fabulous sight for sore for art eyes and an excellent indication of the architectural treasures that Vicenza holds in her bosom. 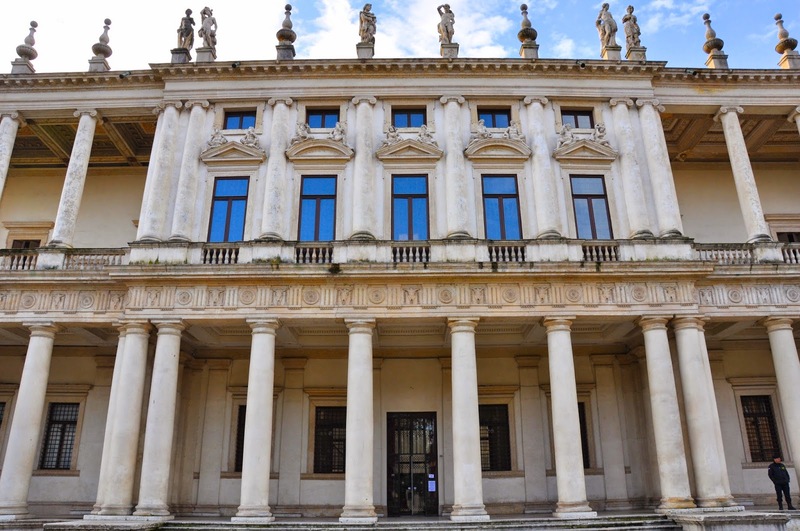 Designed by the renowned architect Andrea Palladio and completed at the end of the 17th century, nowadays the palazzo is a gallery with a permanent exposition of the city’s art collection and temporary exhibitions taking place throughout the year. 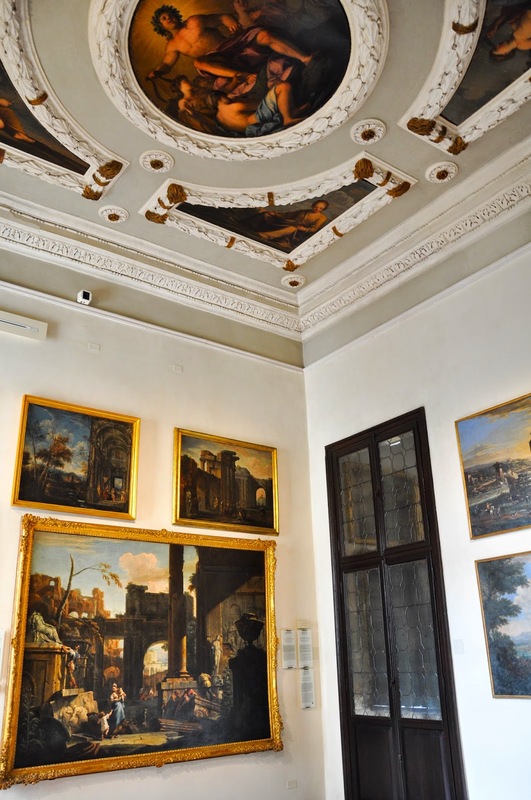 After setting up the scene, let me take you on a visit to the Civic Art Gallery in the palazzo or, in other words, the rooms on its first floor housing the paintings, the prints, the drawings and other works of art owned by the city of Vicenza. It is a great place to spend an hour or two enjoying quietly the exposition. 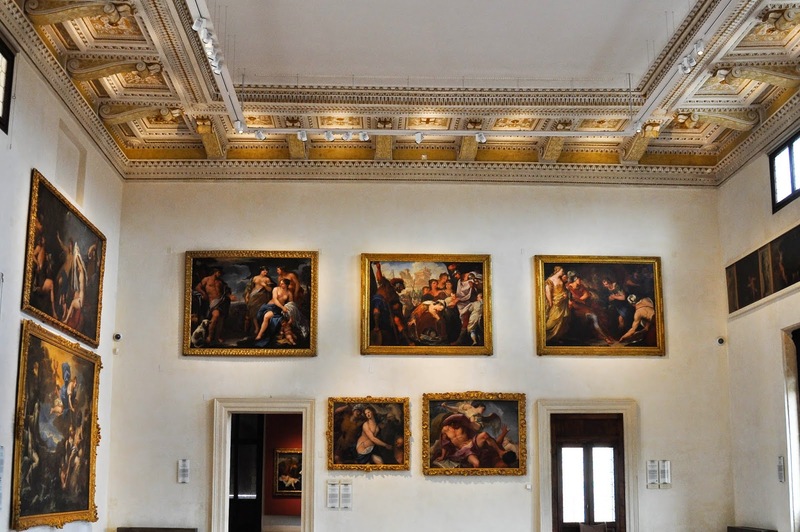 It is definitely not as overwhelming, nor as chock-full with art as the Uffizi Gallery in Florence or other world-renowned galleries in Italy. What I found precious about it though was the unhurried time we were allowed by the lack of crowds to explore the paintings and other exhibited objects, taking in their beauty for what it was rather than feeling obliged to like them simply because of the nametag hanging next to them. I also had a chance to read through the provided boards and inscriptions and glimpse some exciting nuggets of information, rather than being jostled by people who simply want you out of their way so that they can hog a painting or a sculpture all for themselves. For example, did you know that Luigi Porto, a member of one of the most powerful families in Vicenza, was the author of the novella Romeus and Giulietta, which was the source of inspiration for Shakespeare’s most famous tragedy? Or, did you know that ancient coins exercised a strong influence on humanist and Renaissance cultures? Coins were seen as effective means for transmitting memory, hence nobles started setting up medals into the foundations of buildings. 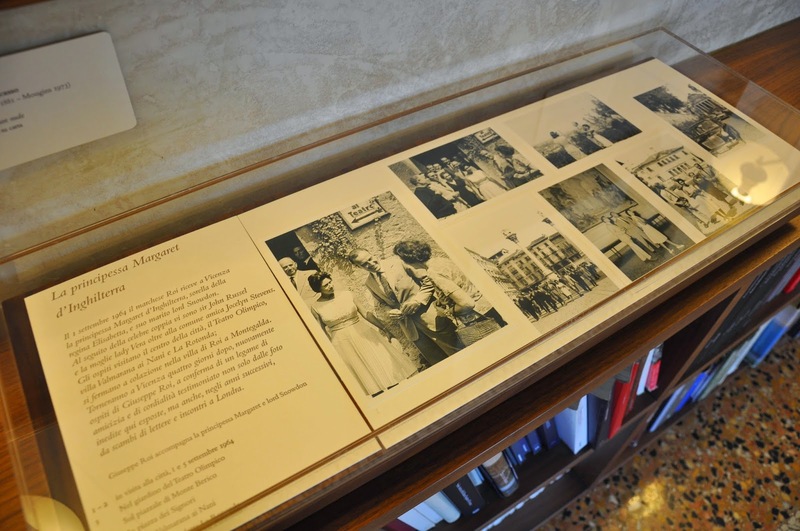 So, without further ado let me share with you the five things I loved most about the Civic Art Gallery in Palazzo Chiericati in Vicenza. 1. The ceilings! Here is a little tip that has served me well in terms of art appreciation. Always look up! 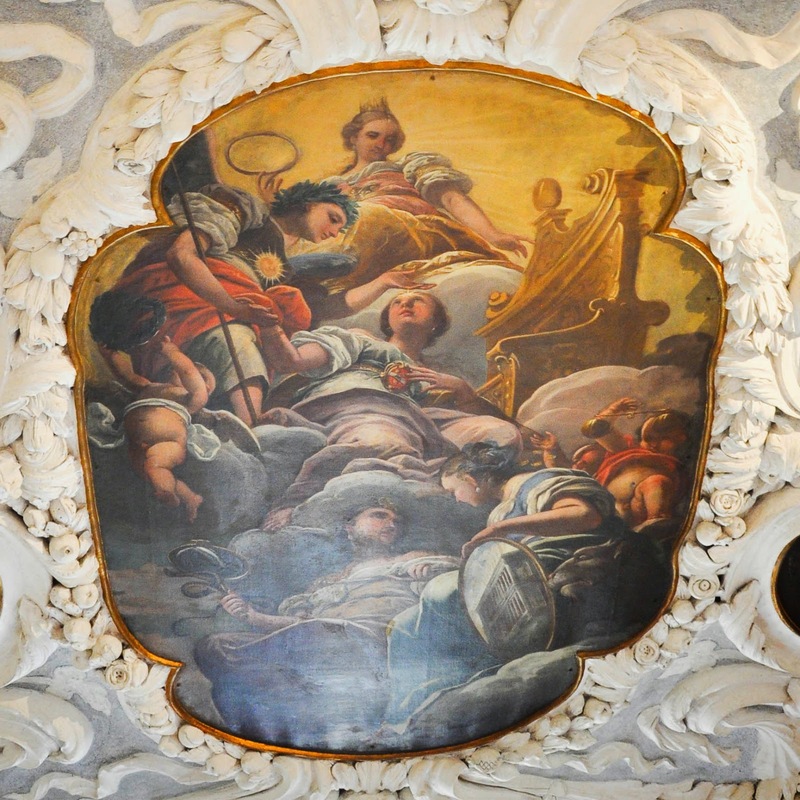 Palazzi and churches, especially in Italy, often have the most incredible ornate ceilings. They can be so beautifully painted that they often attract more attention and admiration than whatever else is being exhibited in the space below. 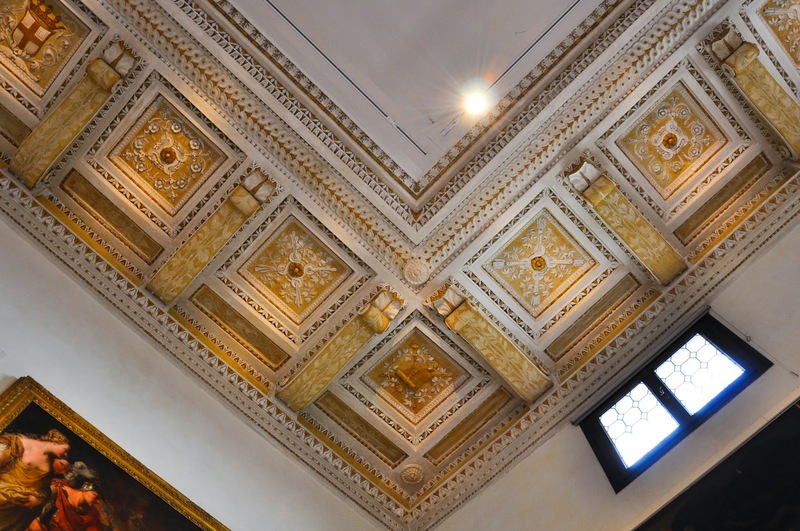 With its detailed ceilings, Palazzo Chiericati didn’t disappoint in this respect. See for yourself! 2. The friezes! Keep looking up, but gently glide your eyes just beneath the ceilings. 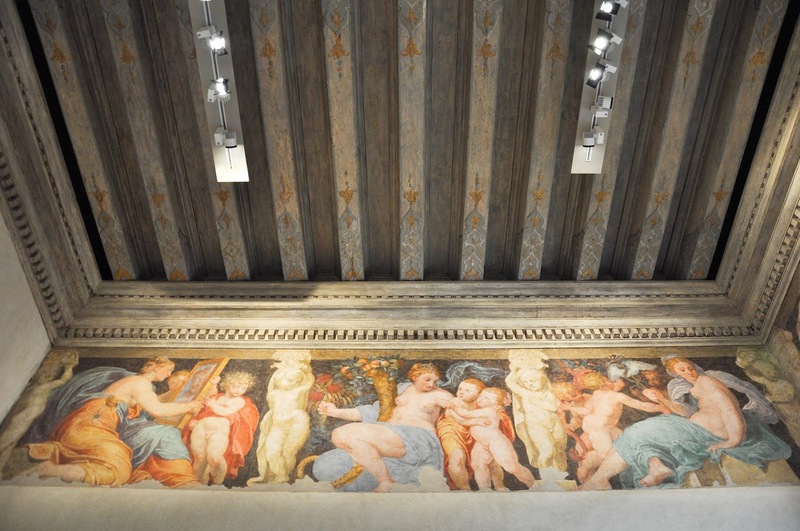 Beautiful painted friezes adorn the rooms of the Civic Art Gallery in Palazzo Chiericati. I especially liked these two. 3. The art itself! 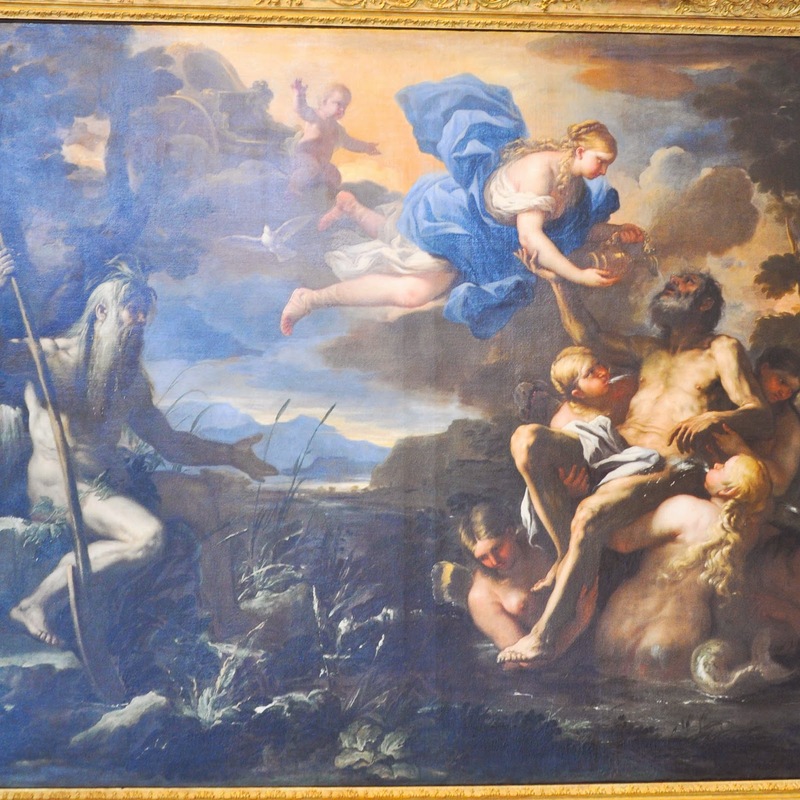 My personal favourites were the painting ‘Aeneas Made Immortal by Venus’ by Luca Giordano and the marble bust of Vincenzo Pellegrini by Alessandro Vittoria. I think that art speaks differently to different people and we all should listen to the inner voice which guides us to a particular painting or sculpture. I am frequently surprised by the things that I am instinctively drawn to, Often they turn out to be quite the dramatic opposite to what my rational self would like me to believe I should admire. In this particular case, I loved the painting as it is so different to the usual pictorial representations of young athletic bodies. Also, I was drawn by the gentle gesture with which the goddess Venus supports her son Aeneas trying to impart on him the gift of immortality. 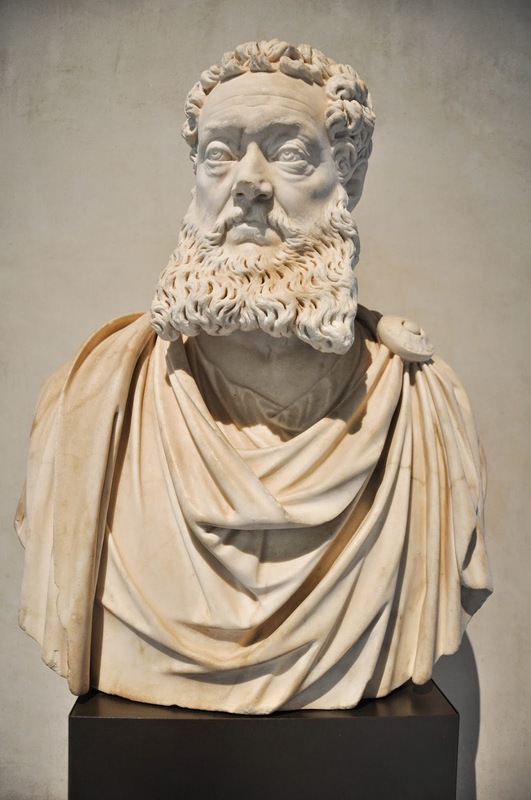 As for the marble bust, I was captivated by its beard! Yes, I know beards are quite the thing these days, but I have never been appreciative of them. Still, this carved in marble beard was so extravagant and so detailed, that I couldn’t help but spend some time admiring it. 4. The terrestrial and the celestial globes! 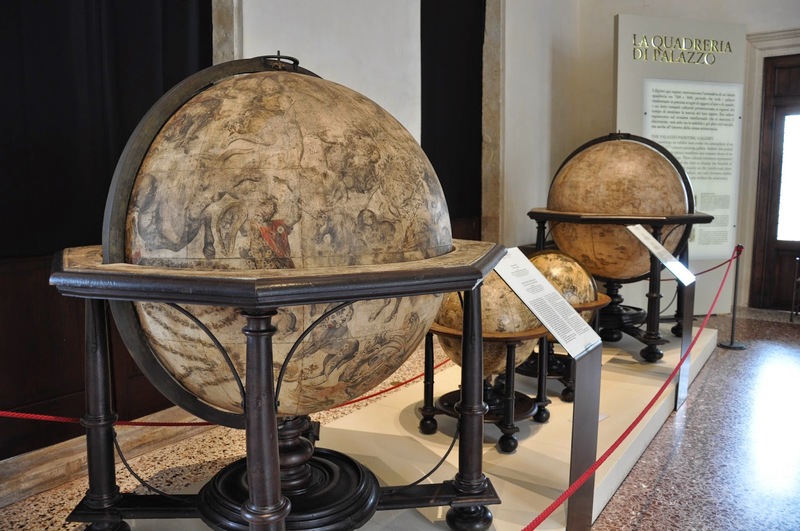 Having seen some amazing globes in the Doge’s Palace in Venice, I was immediately drawn to the terrestrial and the celestial globes which are part of the exposition in the Civic Art Gallery in Palazzo Chiericati in Vicenza. The best bit was that it was allowed to take pictures of them, unlike the rules of no photos in the Doge’s Palace. The globes you see here are over three centuries old! 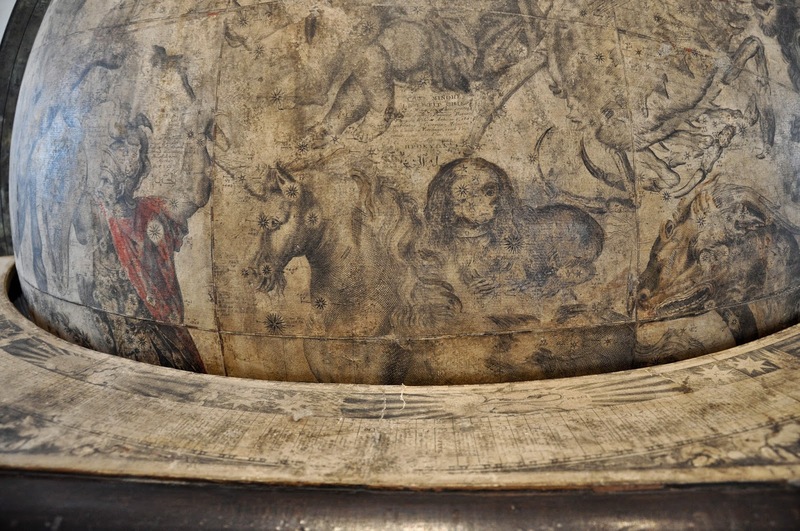 The second photo is a close-up of the large celestial globe, showing the different constellations represented by actual pictures. 5. The collection of Giuseppe Roi! 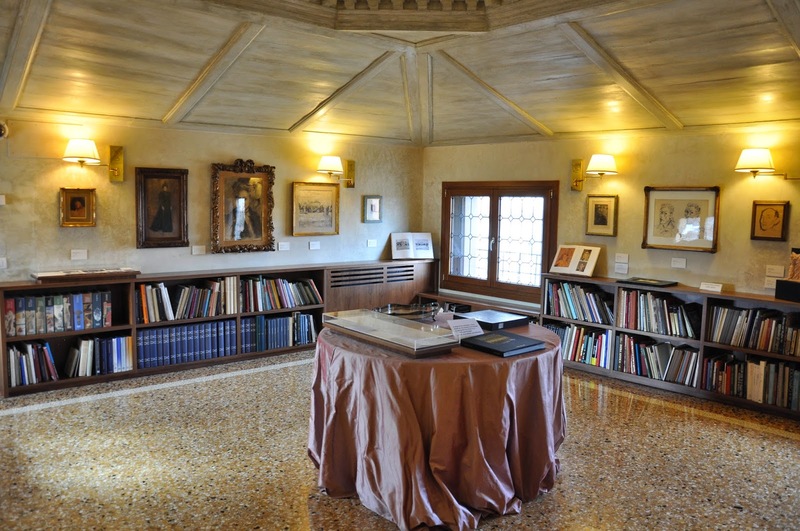 The marquis bequeathed his vast art and literary collection to the Civic Art Museum and nowadays his paintings, drawings, engravings, books and other personal objects are set in an exposition space on the top floor of Palazzo Chiericati. Three flights of stairs will take you to its door and as soon as you step over the threshold, it is like you are in a house beautifully arranged with works of art. Shelves heaving with books run along the walls and above them hang precious drawings by Picasso and Manet, to mention but a couple. Pictures of the marquis with his celebrity friends – from Princess Margaret to Pele – add a bit of old-fashioned glamour. 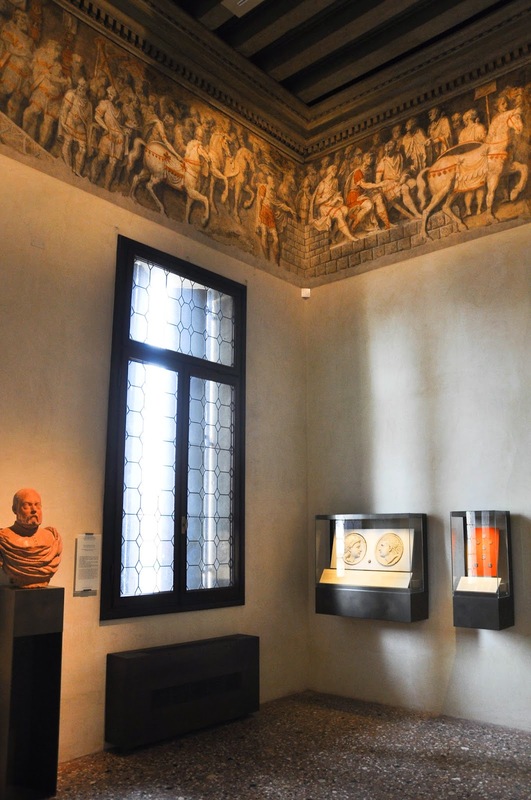 The Civic Art Gallery in Palazzo Chiericati holds many more treasures. If you have a free hour or two in Vicenza, use them to explore it and see what you can discover for yourself.